Lexi McMinn, and Nadia Smith. With each new show we produce comes a new set of talented actors who hail from Tulsa and other cities in Oklahoma, Arkansas, Missouri, and Kansas. Some actors are Encore! veterans you've seen in many of our productions, others are making their Encore! debut, occasionally even their stage debut. Most of our actors have professional training, oftentimes a college degree in theatre. Many of them are pursuing a professional career in theatre or film, and we are a helpful stepping stone in that career path. Men, women, and children of all ages come together to share their passion of performing to entertain and delight Tulsa audiences. Look no further than our Facebook page, where you'll find our Meet the Actors posts with photos and biographies so you can learn more about each performer. Be sure to like our page so you don't miss out on these daily posts, which started today! 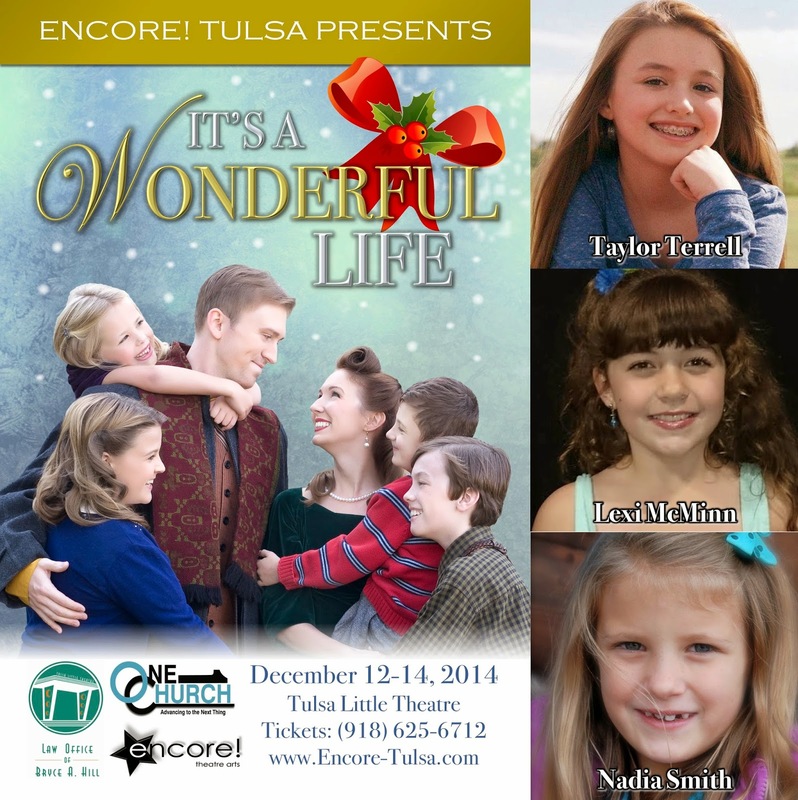 It's a Wonderful Life runs December 12-14 at Tulsa Little Theatre. The show is directed by Joshua Branson Barker and Mindy Barker, and is sponsored by Tulsa Little Theatre, Law Office of Bryce A. Hill, and One Church, with valuable support from Dr. Ben Gerkin DDS, Interstate Electric of Sand Springs, and Trina Fowler of Impulse Images. Tickets are $20 and are selling fast! For tickets and details, click here or visit the "Tickets" page. You can also buy tickets at the door with cash or credit card (if seats are still available).